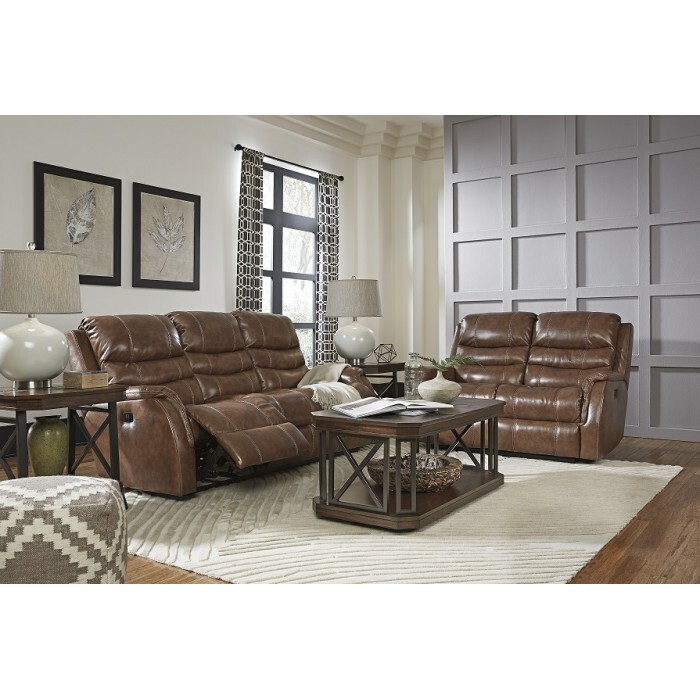 Item Description: Relax in modern luxury of the Metcalf power reclining sofa and loveseat, where comfort needs are covered from head to toe. Its contoured seats, waterfall backs and sleek arm design not only offer style, but make it exceptionally cozy. Simply push the button to recline and charge your electronic devices using the USB port conveniently located in the power control. Relief keeps coming with the power adjustable headrest. When it comes to style, the entire seating area is wrapped in our highest quality leather for a luxurious experience, while a perfect leather-match upholstery on the exterior saves you money without sacrificing style. Item Features: Frame constructions have been rigorously tested to simulate the home and transportation environments for improved durability. Corners are glued, blocked and stapled. Stripes and patterns are match cut. All fabrics are pre-approved for wearability and durability against AHFA standards. Cushion cores are constructed of low melt fiber wrapped over high quality foam. Features metal drop-in unitized seat box for strength and durability. All metal construction to the floor for strength and durability. The power reclining mechanism features infinite positions for comfort. 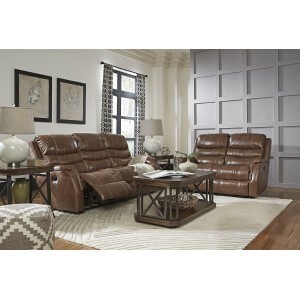 In addition the style feature a power adjustable head rest.